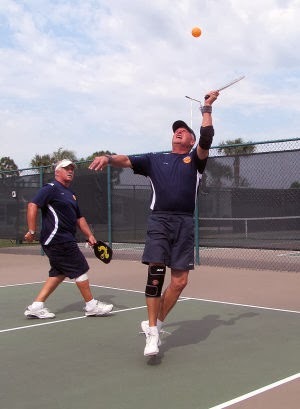 On Wednesday, Feb. 26, Lake Ashton of Lake Wales played at Tanglewood in the final match of the South Central Florida Pickleball League regular season. Tanglewood came out on top 49-18 to finish an undefeated season in the five-team league. Each team is comprised of four pairs ranked from A to D.
They then play a round-robin series with more points being awarded for games against the most evenly matched teams. Tanglewood’s D team was anchored by Tom Stadler who played with three partners during the day. Against Lake Ashton’s top team, Stadler and Dave Werry put up a strong fight, losing two games to one. Partnered with Betty Schleis, Stadler won a match then finished the day winning the final two matches paired with Walt Snyder.